Artfully selected mix displays the incredible diversity of colors & flower forms in the Daffodil family. Gorgeous, nuanced blend of colors comes from careful editing-theh most harmonious mix of complementary colors. Burpee daffodil 'double mix' has blooms ranging in color from White to dark gold. 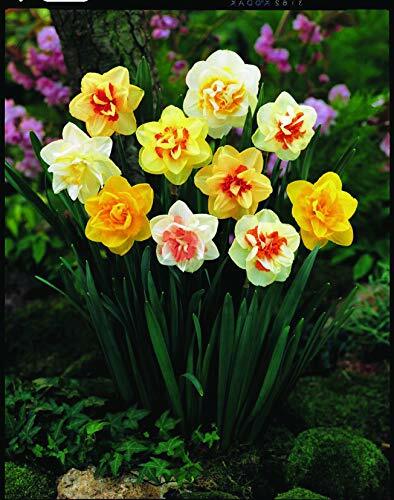 Artfully selected mix displays the incredible diversity of colors and flower forms in the daffodil family. Daffodils grow Best in full sun to light shade in a light, well-drained soil enriched with organic matter. Plant daffodils in early Autumn; 6-8 inches deep, 4-6 inches apart.